Rhode Island's Largest New Year's Eve Celebration! PROVIDENCE, RI, December 29, 2012—Bright Night Providence regrets to announce that due to weather circumstances beyond our control, the Antique Firetruck display scheduled to be provided by the RIAFAS group at the RI Convention Center for Bright Night is cancelled. While it is unfortunate that this is the case, there are many activities, exhibits and performances that will still be taking place at the Convention Center during the Noon-6pm time frame. Some of these include: Marvelous Marvin’s Hands-On Circus Workshop, Captain Crispian’s Indoor Flight School, the Rhode Island Smokehouse Trailer, the Rhode Island Museum of Science & Art Exhibit, Mother Nature’s Songs & Stories, Creative Chica Face Painting, Amy the Mime, the Meet the Little Mermaid Photo Op, and a number of strolling entertainers. All of the above activities can be accessed with your Bright Night Bracelet. Bracelets cost $10.00 for kids no matter when you purchase them (buy 3 kids’ bracelets and get your 4th FREE). Adult bracelets cost $15.00 in advance and $20.00 on the day of the festival. Bracelets can be purchased on the Bright Night website: www.brightnight.org or can be bought in person at any BankRI Branch in Rhode Island or the East Side Marketplace in Providence. If you are interested in applying to volunteer or would like additional information, please contact the Bright Night Volunteer Coordinator, Kellie Donovan. She can be reached via email at: Volunteer@BrightNight.org or via phone at: (401) 787-1432. There is flexibility with shift times, so please notify our Volunteer Coordinator of your preference (if any). For more information, please visit the Bright Night website (www.BrightNight.org) or contact festival director Alexandra (Ali) Kreher at (401) 864-5973. Email:director@brightnight.org. Winners of 2nd Annual Bright Night’s Got Talent Announced! Bright Night’s Got Talent Contest. Winners will perform live at Bright Night Providence. PROVIDENCE, RI, November 10, 2012 – Bright Night Providence recently announced the winners of its second annual talent contest, held last Saturday and Sunday at the French American School of Rhode Island, Providence. Alison Hornung, North Kingstown, won in the 9-12 age group, Sincerely Anonymous, __________, won in the 13-15 age group, and Unique Status 4, Fall River, MA, won in the 16-19 age group. The ASM Dance Group, Warwick, also won an award for its performance. The winners got $100 for winning and Bright Night bracelets, good for access to any Bright Night venues on New Year’s Eve. 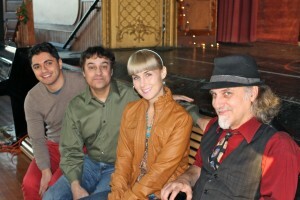 They also will perform at the Black Box Theater, Providence, from 2:00 p.m. to 3:00 p.m. on New Year’s day. Hornung won for her rendition of Carrie Underwood’s Cowboy Casanova. Jason Tuttle, Warwick, was runner up. Sincerely Anonymous (voice and ukulele) won for its performance of Carrie Underwood’s, Blown Away. ASM Dance Group was runner up. Unique Status 4, a pop group, won for its performance of an original song. Heritage Ballet, Lincoln, and Shannon O’Donnell (hula hooping), Warwick, tied for second in their age group. 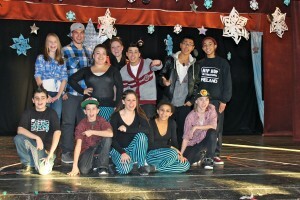 Bright Night’s Got Talent was open to all Rhode Island children from 9 to 19. Tickets for Bright Night Providence are now on sale. Ticket prices are $15.00 for adults and $10.00 for children (aged 15 and under) in advance, and $20.00 for adults and $10.00 for children on the day of the festival. Purchasers who buy three children’s tickets get one free. Tickets can be bought online from the Bright Night website or at any BankRI branch and the East Side Marketplace. Sponsorships for the event are still available. Businesses interested being a Bright Night sponsor can contact Alexandra Kreher at 401-864-5973. Bright Night is an artist-run, arts-oriented New Year’s Eve celebration that carries on the tradition of First Night Providence. Bright Night was founded in 2003 when First Night Providence was cancelled after 18 years. The organization’s goal is to provide a fun-filled New Year’s Eve party featuring family friendly activities, performances, and exhibits. For more information about Bright Night, visit its website or contact festival director Alexandra (Ali) Kreher at (401) 864-5973. Email: director@brightnight.org. Let’s Talk About: Bright Night Providence! AAA Southern New England’s newsletter Horizons. Boston.com’s winter activity list, article. The “I Heart Rhody” Blog, article. Providence Business News article, Holiday Tourism. A YouTube Video of our Press Conference: BN Kick-Off 2013. There are surely more to come. If you are a member of the press and missed our Press Conference, but would like more information on the festival – please email our Festival Director, Alexandra Kreher at Director@BrightNight.org and request a Press Kit! Bright Night Providence, Rhode Island’s largest New Year’s Eve Celebration, is proud to present the 2nd Annual “Bright Night’s Got Talent” Competition. We are searching for Rhode Island students ages 6-19 who would like an opportunity to showcase their special talent (ie. Singing, dancing, poetry, magic, acting, etc.). There will be auditions for all that are interested, concluding with the grand prize in each age category: a paid appearance/performance at Bright Night Providence! There are four age categories: Ages 6-8, Ages 9-11, Ages 12-15, Ages 16-19. The Competition Auditions will take place at the French American School of Rhode Island on Saturday, December 15th from 12pm-5pm, and continue on Sunday, December 16th from 12pm-5pm if necessary. To register for the competition click on “Apply to Bright Night’s Got Talent” in the top right of the navigation bar, and fill out the registration form. This event is open to both individual and group performances. Due to time constraints, each performance will be allotted a four-minute time slot. Finalists will get a 10-minute performance at Bright Night Providence, and a $100 performance fee. The deadline for registration is Sunday, December 2nd, 2012. For more information visit http://www.brightnight.org, or call festival director Alexandra (Ali) Kreher at (401) 864-5973. Subscribe to our announce-only mailing list!